Why is it Important to Differentiate the Type of Facility Where a Bed Sore Developed? The first step in evaluating a bed sore case, is to determine when at what type of facility the bed sore developed. Aside from obviously knowing which facility to pursue a claim or lawsuit against, knowing how the facility is legally categorized is essential to a successful recovery. The legal classification of the facility: nursing home, group home, hospital, residential care facilities for the elderly (RCFE’s) or assisted living facility is important for determining which laws are applicable to the case. Although the underlying injury be be the result of negligent care at any of the facilities listed above, there can be substantial differences in the how the claim or lawsuit needs to be pursued. For example, the statute of limitations for filing a lawsuit against a nursing home for a resulting bed sore (similarly called: pressure sore, pressure ulcer or decubitus ulcer) may be one time period while a similar lawsuit against a hospital for development of a bed sore may be different. Making these matters more complicated, is the fact that the names of many facilities may be misleading. In other words, just because a facility is called “Bob’s Old Folks Hospital”– it may actually be licensed as a nursing home or home care facility. Contacting an experienced lawyer, who has litigated bed sore cases in a variety of settings, can provide a level of comfort when navigating the complicated minefield related to facility names and applicable laws relevant to how facilities are licensed. 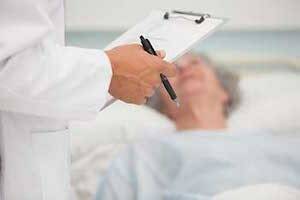 What legal action can be taken if a bed sore developed during an admission to a long-term care facility? If a lawsuit or claim is filed against a facility where a person developed bed sores, what type of damages is the person entitled to?